This well maintained home is located on a cul-de-sac in a small, quiet Lake Mary neighborhood. 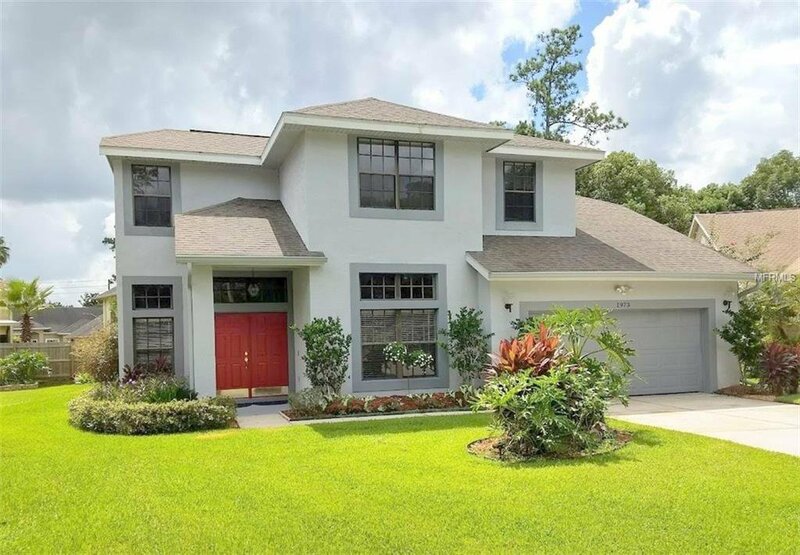 This home is zoned for top rated Seminole County schools. Convenient to the 417 GreeneWay or I-4. As you enter the double front doors, the flared staircase welcomes you. To your right is the formal living room. The dining room is to your left and flows towards the kitchen which boasts quartz counter tops and looks over the large family room with ceramic tile and a fireplace. The master bedroom is downstairs and features dual sinks, a garden tub, and large walk-in closet. There is a powder room downstairs for guests. Upstairs you will find 3 bedrooms and another bathroom. The largest bedroom was used as a game room and does not have a closet but that could easily be added. There is a screened lanai and a large, open patio for you to enjoy your quiet backyard. Plumbing was replaced including the water heater. Upgraded counters and faucets. Multi purpose room upstairs is 13x20. Plenty of room for regulation pool table, game room, playroom, etc. The home is 2 miles from Sunrail commuter train and 1 mile from the beautifully shaded Seminole-Wekiva paved trail. The regulation tennis court are included in homeowner fees and also has pickleball lines Call today to schedule your private viewing. Listing courtesy of RE/MAX TOWN & COUNTRY REALTY. Selling Office: KELLER WILLIAMS ADVANTAGE 2 REALTY.